Polish Radio Programme 2 and Polish Radio Orchestra invite you on April 28, 2019 at 6.00 p.m. to the Witold Lutosławski Concert Studio of Polish Radio for a symphonic concert on the occasion of Piotr Moss' 70th birthday and 50th anniversary of creative work. After composition studies at the State Higher School of Music in Warsaw in the class of Piotr Perkowski (he also studied under Grażyna Bacewicz and Krzysztof Penderecki), Piotr Moss went to France, where he perfected his compositional skills under the direction of Nadia Boulanger. He currently lives and works in Paris. 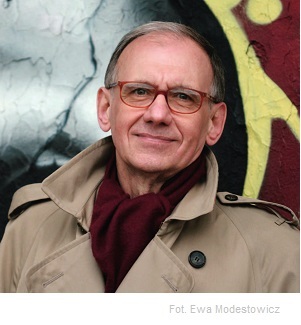 Piotr Moss is a laureate of numerous intrernational composing competitions.  In 2000, Piotr Moss was appointed Chevalier dans l'Ordre des Arts et des Lettres by the French Minister of Culture, in 2007 he received an award of the French Académie des Beaux Arts, and in 2009, on the occasion of the 60th birthday and 40th anniversary of creative work, he received a special award from the Minister of Culture and National Heritage. He was also awarded with the Medal for Merit to Polish Culture. In 2016 he received a title of Officier dans l'ordre des Arts et des Lettres. On April 28, the Polish Radio Orchestra under the baton of Michał Klauza and actor Krzysztof Gosztyła will perform Piotr Moss' melodrama Ugui for reciting voice and orchestra. The concert will start with Stanisław Moniuszko's Overture to the opera Verbum Nobile. The programme will also include Maurice Ravel's Piano Concerto in D major for the left hand, performed by French pianist Hélène Tysman – a graduate of the Paris Conservatoire and music schools in Hamburg and Weimar. A concert of film music will take place on April 28, 2019 at 6:00 p.m. at the Artur Malawski Philharmonic in Rzeszów. The programme will feature fragments of the most famous Polish and foreign soundtracks, hits from iconic Polish series, works composed for film, but also those that are associated with film and were written as concert pieces. The String Orchestra of the Artur Malawski Philharmonic conducted by Stefan Gąsieniec will perform compositions by George Gershwin, Scott Joplin, Carlos Gardel, as well as Fryderyk Chopin, Wojciech Kilar, Władysław Szpilman, Krzesimir Dębski (in the photo), Waldemar Kazanecki, Włodzimierz Korcz and Mirosław Gąsieniec. 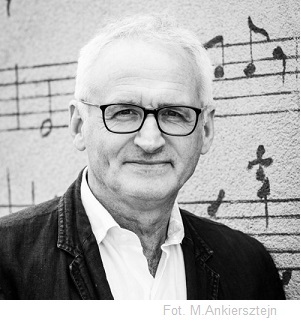 The concert will be led by Tomasz Stockinger – one of the most recognized Polish actors. 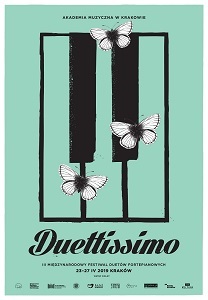 Stefan Gąsieniec, an excellent jazz pianist, composer and arranger, will play the piano. "Vive la Gioacchino Rossini!" – under this slogan a spring concert of the Elbląg Chamber Orchestra will take place on and April 28, 2019 in the Concert Hall of the Elbląg City Hall. Although Gioacchino Rossini is known primarily as the author of operas, his sonatas are no less worthy of interest. Elbląg Chamber Orchestra along with the conductor and violinist Jan Stanienda will perform a special concerts of Rossini's sonatas for the Elbląg music lovers. 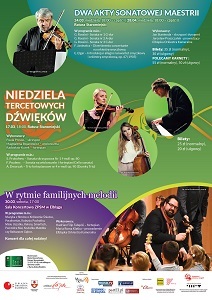 The programme of the evenieng will be complemented by chamber music of Mieczysław Karłowicz and Andrzej Panufnik. The concert will be hosted by Jarosław Praszczałek. Szczecin Classic, a new festival of classical music organized by the Baltic Neopolis Orchestra, will take place on April 27 – May 4, 2019. The festival will popularize classical music at the highest level, and also serve as an educational platform for all music lovers. One of the main undertakings will be a prestigious Szczecin Classic Academy music course, organized in close cooperation with the Academy of Arts. This year, the Szczecin Classic Festival bears the subtitle "Gramy w Classy", which refers to a hopscotch game with classical music, and aims to facilitate the reception of classical music for a wide audience. 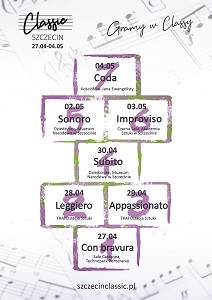 As part of the festival, there will be 7 concerts of classical music with the participation of world-class artists, as well as a range of accompanying events: happenings dedicated to different instruments (on Jasne Błonia Square and Grunwald Square), exercises with classics in Anders Park, Stradivarius violin show combined with a lecture, lecture on how to manage your musical career, and baroque dance classes. 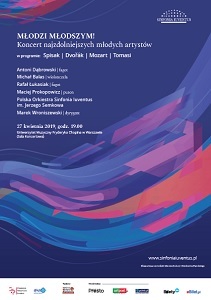 The programme of the concerts will consist of works by composers from around the world, including Polish ones: Grażyna Bacewicz, Mieczysław Karłowicz, Wojciech Kilar, Ignacy Jan Paderewski, Krzysztof Penderecki, Zygmunt Stojowski, and Władysław Żeleński. 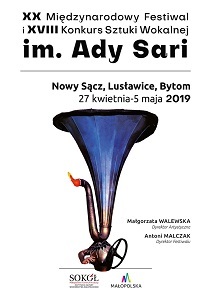 Representatives of musical institutions, prominent and well-known artists, pedagogues and, above all, entrants of the vocal arts will visit a charming, little town in the South of Poland called Nowy Sącz to attend the jubilee edition of the Ada Sari International Vocal Artistry 20th Festival and 18th Competition, the oldest vocal competition in Poland, starting on April 27th, 2019. 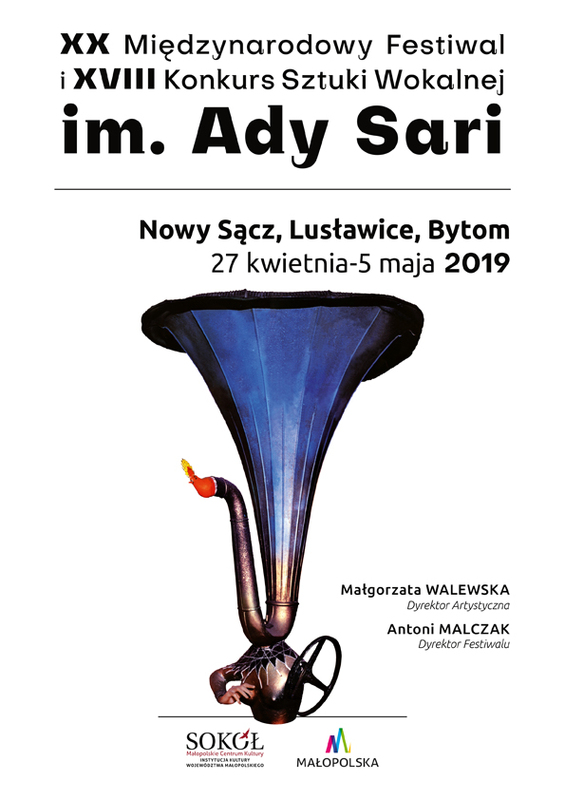 Jubilee 20th Ada Sari International Vocal Artistry Festival will start on April 27th, 2019, at the Krzysztof Penderecki European Centre for Music in Lusławice. In an extraordinary event, we will hear a concert performance of Giacomo Puccini’s opera Suor Angelica and Ludomir Różycki’s symphonic poem Anhelli op. 22. It is no coincidence that the works of these two composers are combined: writing the one-act opera Suor Angelica, Puccini was inspired by the cloister act from Różycki’s opera Eros and Psyche. The solo parts will be performed by finalists of previous editions of the Competition, as well as Małgorzata Walewska. The Beethoven Academy Orchestra and the Polish Radio Choir in Krakow will be conducted, for the second time in the Festival’s history, by José Cura, world-famous singer and conductor. The Winners Gala Concert will take place on May 4th, 2019. The soloists will be accompanied by the Orchestra of the Silesian Opera conducted by Maestro Sebastian Perłowski. A day later, on May 5th, the concert of the best singers will be repeated at the Silesian Opera in Bytom. 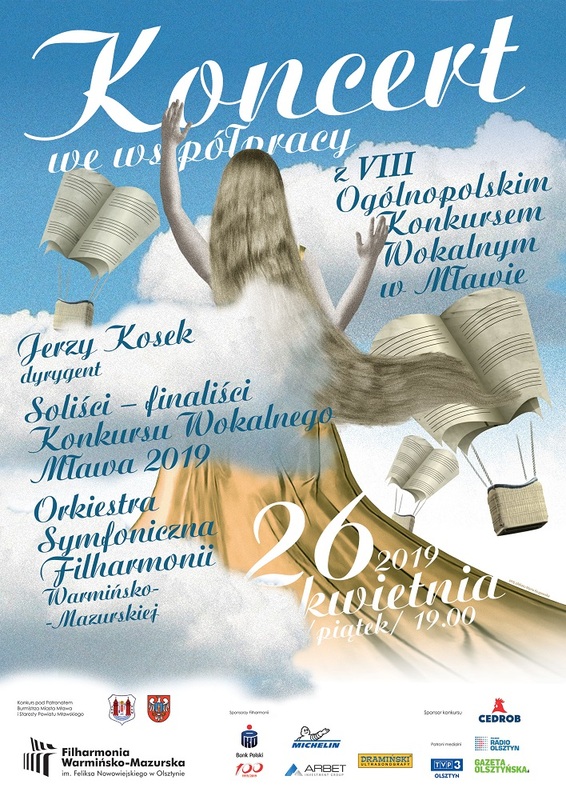 The finalists and winners of the 8th Zdzisław Skwara National Vocal Competition will perform at the Warmian-Masurian Philharmonic in Olsztyn on April 26, 2019 at 7.00 p.m. The competition organized by the Andrzej Krzanowski State Music School Complex in Mława is attended by young opera singers and vocalists from many parts of Poland. As in previous years, the competition will have two stages. 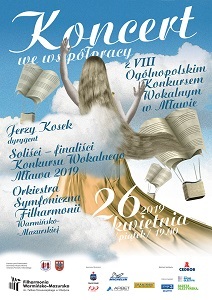 First, the participants will perform in Mława with piano accompaniment, then the finalists will perform in Olsztyn accompanied by the symphony orchestra of the Warmian-Masurian Philharmonic under the direction of Jerzy Kosek. The programme of the evening will consist of arias from selected operas of such composers as: Gaetano Donizetti, Wolfgang Amadeus Mozart, Giacomo Puccini, Giuseppe Verdi, Georges Bizet, Pyotr Tchaikovsky, Stanisław Moniuszko, and Feliks Nowowiejski. Jerzy Kosek, who will lead the Warmian-Masurian Philharmonics, worked the majority of symphony and chamber orchestras in Poland, as well as in Germany, Austria, Denmark, the Netherlands, Hungary, Ukraine, Yugoslavia, Venezuela, Israel, Portugal, China, USA (including Carnegie Hall in New York). His portfolio includes sixteen CDs, music for movies, music for radio and Polish, Israeli and American television.